What, you think four-star films like Eighth Grade, RBG, Whiplash, Boyhood, Brooklyn and Manchester By the Seaachieved acclaim and major awards all by themselves? Try again. They were all beneficiaries of the much-coveted Sundance Buzz. Read: These movies all premiered in the dead of winter high up in the Utah mountains at the Sundance Film Festival. They received a rapturous reaction. The ripple effects spread all the way to Cineplexes and your favorite streaming services, where audiences found them and fell in love as well. Then the golden hardware is racked up. Then the calendar year turns and the buzz starts all over again for a new crop of indies. Fun! The 2019 Sundance Film Festival didn’t come here to sit by the fire and sip hot chocolate. At 9 AM on the first full day of programming, the festival’s programming director introduced the world premiere of the ultra-controversial and ultra-explicit Michael Jackson documentary Leaving Neverland and noted that licensed counselors were available in the lobby just in case. But, as always, audiences got their share of laughs, tears, chills and thrills courtesy of the festival’s diverse lineup. Finding Neverland aside, these 10 entries were my stand-outs. Let the 2020 Oscar buzz begin! 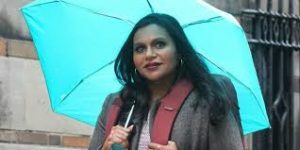 Congratulations to Mindy Kaling for writing and starring in a brutally hilarious showbiz comedy that just happens to be sharper than a pitchfork. She plays a newly hired writer for a late-night talk show staffed by a bunch of shlubby and privileged white males. As a fresh voice, she aims to shake things up — only to be constantly rebuffed by her coworkers and the show’s host (Emma Thompson). 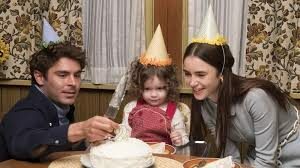 The film nails commentary about gender politics, ageism and diversity within the industry but doesn’t hit you over the head with its messages. Applause sign. Meet Awkwafina, dramatic actress. 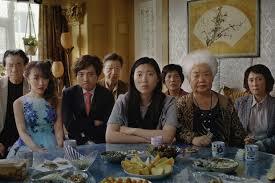 The Crazy Rich Asians and Ocean’s 8 extrovert is a revelation in this lovely take on the joys and agonies of family. Her Billie, a struggling writer, heads to China to see her beloved grandma who’s been diagnosed with stage-four lung cancer. She longs to take care of her, yet her family members — all in town for a purported wedding — doesn’t want the matriarch to know of her fate. Sweet and profound, this special film transcends all ages, races and cultures. Grown men in my screening room were weeping as the credits rolled . . . but not for the reason you think. Leave it to The Boss to elicit wild enthusiasm from the prudent Sundance crowd. 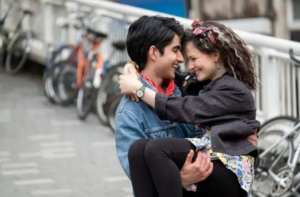 We’re taking it back to 1987, where a Pakistanian 16-year-old named Javed (Viveik Kaira) feels lost in his strict blue-collar home life and at school in drab England. Then a friend lends him a few Bruce Springsteen cassettes. As soon as he starts hearing “Dancing in the Dark,” a light goes off and he finds the confidence he needs. Though the story follows the same you-can-do-it! narrative as Billy Elliott and Bend It Like Beckham, there’s no denying its infectious spirit. After all, we were all born to run. Write what you know, right? So for his screenwriting debut, actor Shia LeBeouf turned to his eclectic if difficult upbringing. He plays his own father, Jeffrey, a former Vietnam vet and rodeo clown and ex-convict struggling to manage his 12-year-old child-star son, Owen (Noah Jupe) in 1995. In a parallel storyline, a now-grown Otis (Lucas Hedges) is in rehab-therapy and suffering from a post-traumatic stress disorder stemming from his youth. LeBeouf digs deep in a film that stretches beyond a typical labor of love project. The opening night selection was an intriguing drama starring Michelle Williams and Julianne Moore. Enough said. Well, a bit more: Williams is running an orphanage in India when she learns that a media mogul (Moore) is considering funding her endeavor. She flies to New York City to “bring back a suitcase full of money” only to learn that the offer comes with a major asterisk. 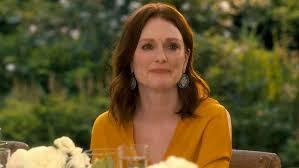 Despite a few too many convoluted twists, the actresses pull off the emotion needed to make it work. 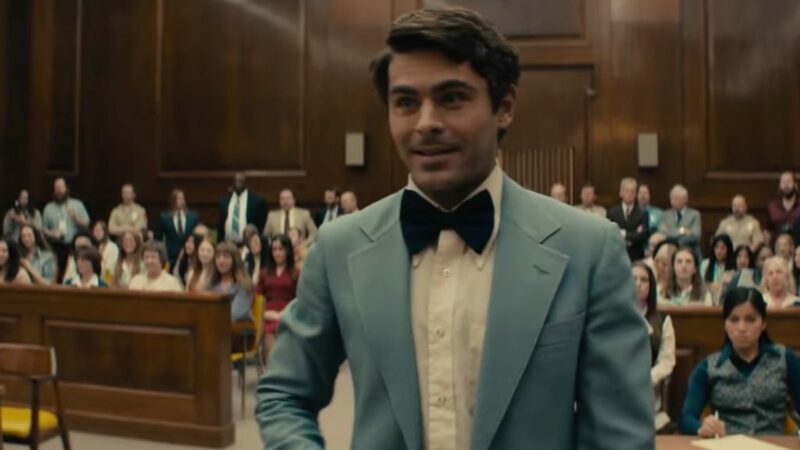 To play notorious serial killer Ted Bundy, director Joe Berlinger turned to the one actor he knew could nail it: Zac Efron. And his instincts were correct. The former teen heartthrob is startlingly convincing as the man who managed to literally get away with murder for years because of his clean-cut good lucks and his suave charm. Lily Collins potryas his longtime girlfriend racked with uncertainty. And though the film is more of a courtroom drama than a hack-and-slash horror, it’s no less disturbing or chilling. 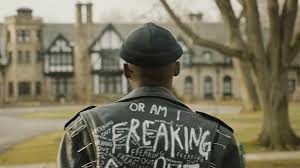 Bigger “Big” Thomas (Ashton Sanders, Moonlight) is an African-American brooder in his early 20s living in Chicago. He sports green hair and a punk leather jacket and prefers classical music to hip-hop. Then he gets a job a working as a live-in chauffeur for a wealthy businessman and tragedy occurs. What ensues is an unsettling series of events that tackles the race and class divide. The visually striking and raw drama is based on a classic novel. And one of the biggest financial acquisition of the festival goes to . . . A tense, fiery drama that indicts the CIA’s post-9/11 interrogation practices. 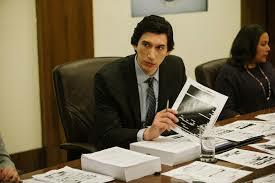 Adam Driver plays Daniel Jones, the staffer tasked by California Senator Diane Feinstein (Annette Bening) to investigate the agency’s Detention and Interrogation Program. What he uncovers is a horrifying account of cruel and unusual torture —portrayed on screen in unflinching flashbacks. There’s a lot of dense information to sift through over the course of two hours, but that doesn’t make the truth any less damning. Either you know a Brittany (Jillian Bell) or you are one. At 28, the self-deprecating New Yorker is desperately unhappy in her own skin. In a bid to get healthier, she decides to start running. Much to her own surprise, she soon starts training for the grueling New York Marathon — and the results of her efforts pay off big time inside and out. I promise you’ll be rooting for this heroine all the way. From start to finish (line), this big-hearted comedy is a winner. More than a year after onetime movie mogul Harvey Weinstein was exposed as a sexual predator, this gripping documentary charts his unlikely rise to the top of the Hollywood food chain and stunning fall to the bottom. Well, it was more of a deep-dive plummet. 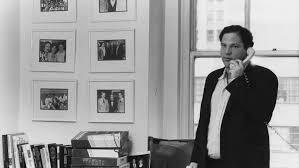 Former coworkers, friends and some of the women whom he assaulted (including Rosanna Arquette and Boardwalk mpire’s Paz de la Huerta) paint Weinstein as a powerful, rage-a-holic bully who refused to take no for an answer. Their stories will leave you haunted.